Center Sandwich, NH WW/Press/July 15, 2016 –Leslie H. Johnson, Attorney with the Leslie H. Johnson Law Office, was selected for inclusion in the forthcoming Top Attorneys of North America 2016 edition of The Who’s Who Directories. The accomplishments attained by Ms. Leslie Johnson, in the field of Legal Services, warrants inclusion into the Top Attorneys of North America. Leslie Johnson has been in private practice for twenty years, with the last twenty-three years spent as a solo practitioner in the areas of employment law, workers’ compensation, personal injury, and Social Security law. She has tried employment cases in state and federal courts, as well before the New Hampshire Commission for Human Rights. Leslie is admitted to practice in New Hampshire, the U.S. District Court for the District of New Hampshire, the First Circuit Court of Appeals, and argued many cases before the New Hampshire Supreme Court. Leslie received her B.A. from Syracuse University and her J.D. from the University of Colorado, School of Law. She is a member of the New Hampshire Association for Justice, Carroll County Bar Association, and Treasurer for New Hampshire’s National Employment Lawyers Association. 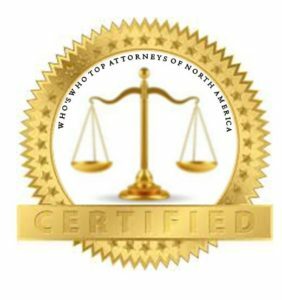 Be the first to comment on "Top Attorney – Leslie H. Johnson"